The Long-tailed Skua is the smallest member of the skua family (Stercorariidae), which is related to gulls and terns. Adults in summer plumage show very long central tail feathers, dark grey upperparts and a largely grey belly. In contrast to the other two ‘smaller skuas’ (Arctic and Pomarine), adults occur only in a pale morph. The existence of a dark morph has however been claimed and much debated. Long-tailed Skuas are long-distance migrants with a circumpolar breeding range in the (sub)arctic. They breed from sea level to inland mountainous tundra and winter on the oceans of the southern hemisphere. Breeding distribution of the Long-tailed Skua, with the study area indicated. Upon arrival at the breeding grounds in the last week of May, Long-tailed Skuas occupy large all-purpose territories. They mostly return to the same territories every year, were they feed on rodents – in particular lemmings. 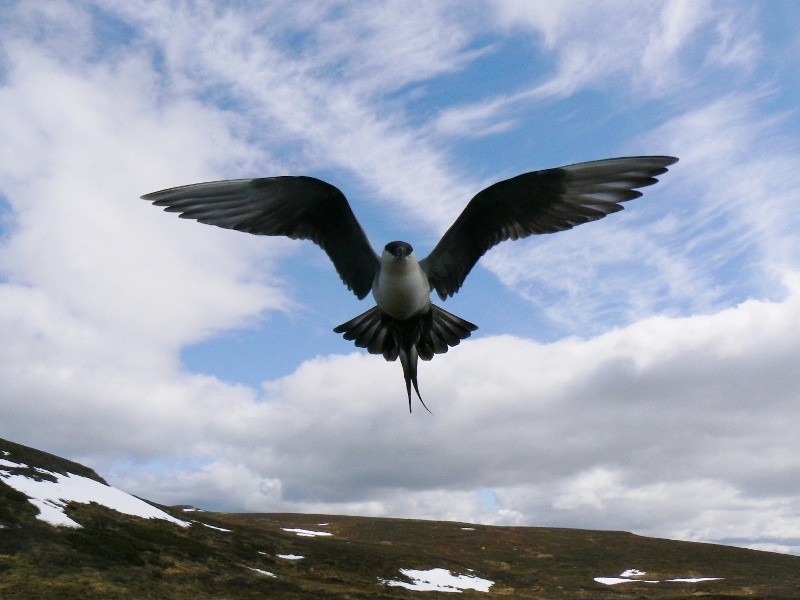 The abundance of these rodents shows strong cyclic patterns over periods of three to four years, and these cycles are reflected in the breeding effort of the Long-tailed Skuas. In good years, almost all pairs will lay eggs, but in years with no or very few rodents, they refrain from breeding. At intermediate rodent levels, only part of the pairs breed, an ability which has been attributed to the utilization of alternative resources, such as arthropods and berries. 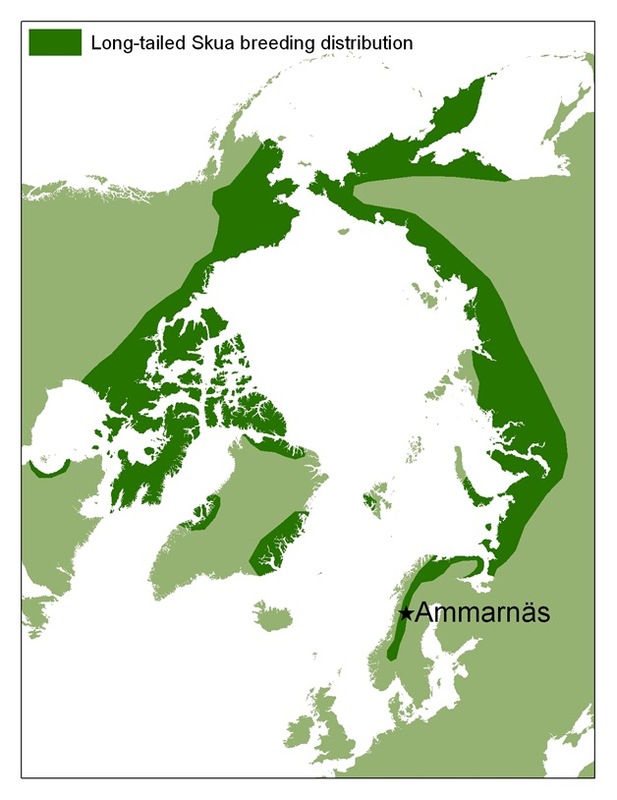 The study at Ammarnäs focuses on both migration and breeding ecology of Long-tailed Skuas, and the link between these two periods. Long-tailed Skua defending its nest.